Ready for another brand-new integration from Popup Maker? This perfect news is for OpenCart users. Popup Maker OpenCart extension is served to make the operation of popups easier on OpenCart websites. There’s no need to copy the embed code for each popup and paste it into your OpenCart website. It’s all much easier now! Simply install the Popup Maker OpenCart extension and enjoy using your popups on your OpenCart website without any efforts. How to connect the extension to the service and where to get the API key from? As soon as you have copied the API key, go to the Popup Maker plugin in your OpenCart menu and enter the API key to connect. Now you are ready to import your popups from your Popup Maker account and display them on your OpenCart website. Only a couple of clicks and the popups will be generated into your website. You’ll get this time-saving option instead of copy/pasting the embed code for each popup. Things are so clear now with Popup Maker OpenCart extension! 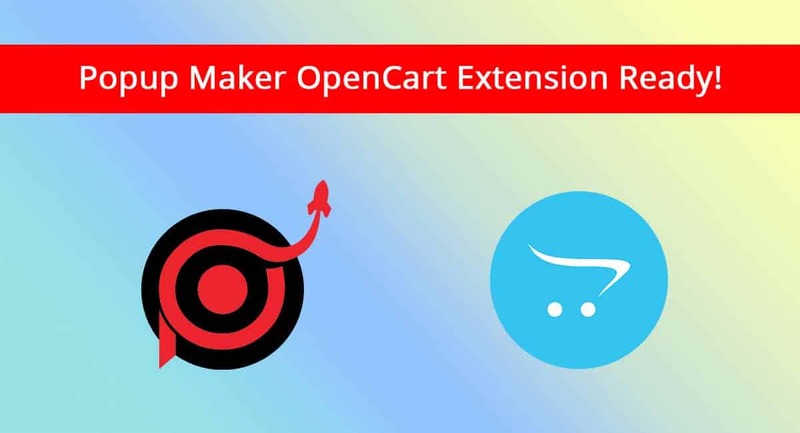 Here’s a detailed instructional article for the usage of Popup Maker OpenCart extension. Start your perfect popup campaign today and boost your sales with Popup Maker OpenCart extension! Previous Post:Popup Maker Drupal Module Released! Next Post:Popup Maker Zapier Integration Launched!